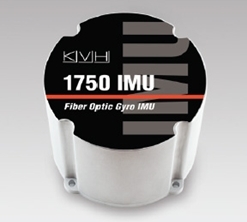 The 1750 IMU is the flagship of KVH’s series of small, powerful, navigation and stabilization sensor system products, utilizing breakthrough proprietary algorithms resulting in outstanding performance. The DSP-1750 is the world’s smallest precision fiber optic gyro. Available in both single- and dual-axis configurations, the DSP-1750 FOGs are perfect for the most demanding applications. 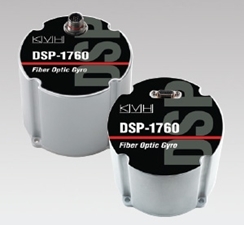 Designed for maximum ease of integration, the DSP-1760 combines 1, 2, or 3 axes of high-performance fiber optic gyros in a single compact package. Read the complimentary White Paper describing how KVH FOGs and IMUs compare against other tactical-grade technology currently available. 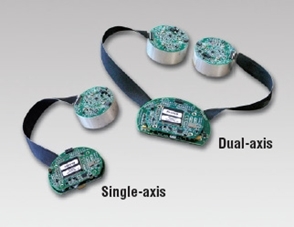 NASA Challenge robot relies on KVH's 1750 IMU for inertial navigation. Download the free white paper and see why. KVH recognizes and respects your online privacy and does not sell, share or rent your information. Delivering powerful technologies for land, sea and air. KVH is a premier manufacturer of high performance sensors and integrated inertial systems for defense and commercial guidance and stabilization applications. KVH is an ISO 9001-certified company with facilities in Rhode Island, Illinois, Denmark, Norway and Singapore.